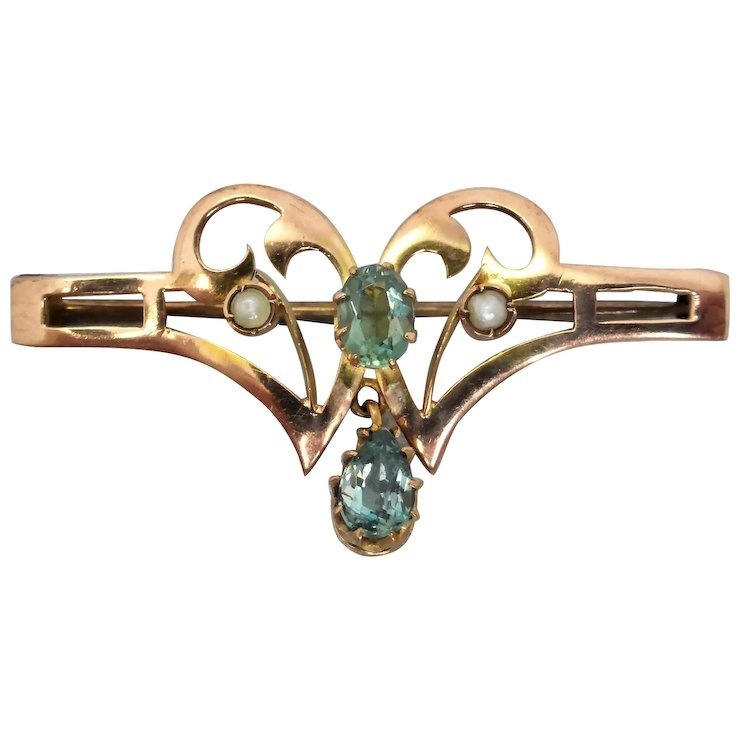 A beautiful antique green beryl and seed pearl brooch from the Art Nouveau period, c1908! 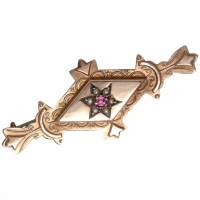 This elegant brooch is made of 9ct gold and the colour is a lovely warm rose hue with a yellow hint. 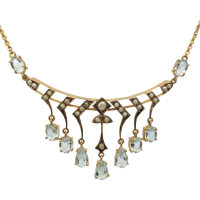 The stunning curvilinear design has a flowing appearance that is highly characteristic of the beautiful Art Nouveau aesthetic. 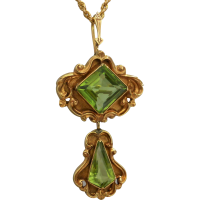 Two green beryl gemstones dazzle from the centre of design - one rests centrally and the other suspends below. Both green beryls are claw set and display lovely ocean green shades with the lower beryl displaying a hint of blue. 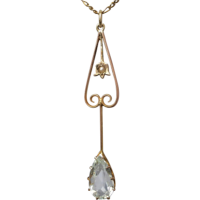 Two little seed pearls rest either side in collet-style settings. 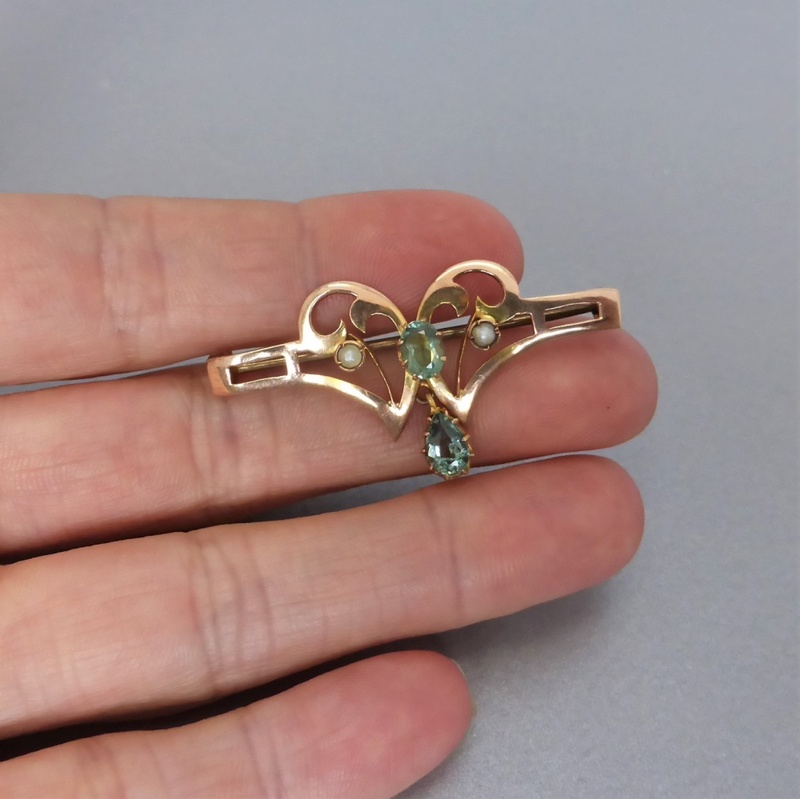 A copper pin and c-clasp connects to the back - the pin has firm tension. 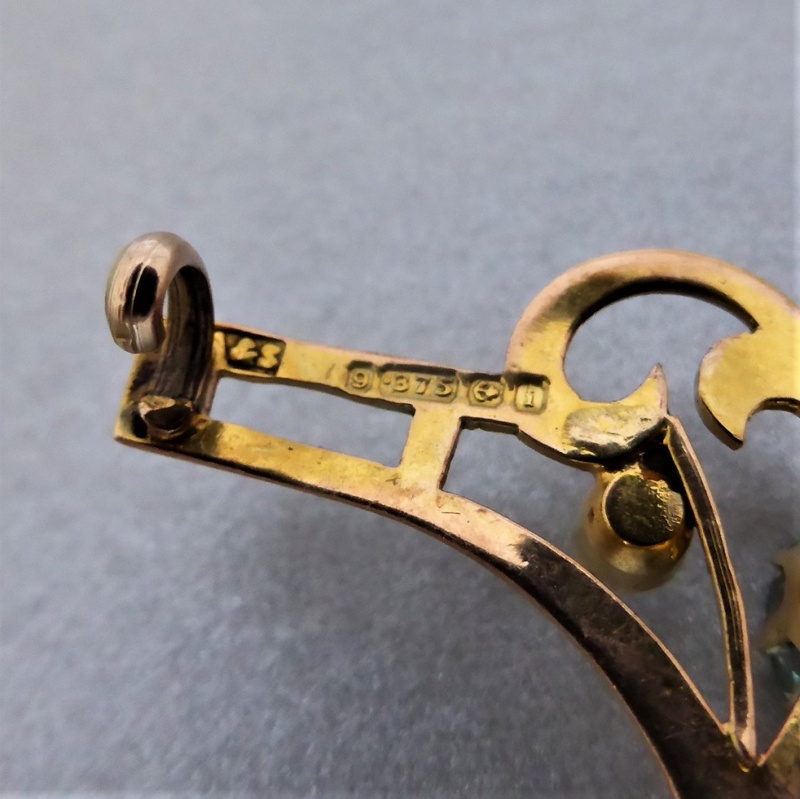 The piece bears a set of English hallmarks to the reverse -'9' '375' 'Anchor' (Birmingham) "i" (year 1908), also makers marks which are difficult to decipher, albeit possibly ending with 'A&S'. 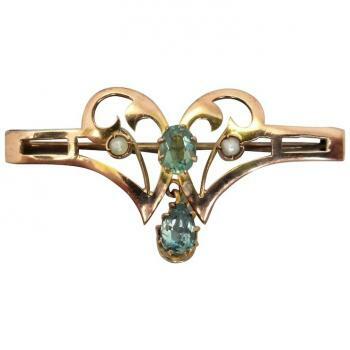 An elegant antique brooch sure to receive compliments. 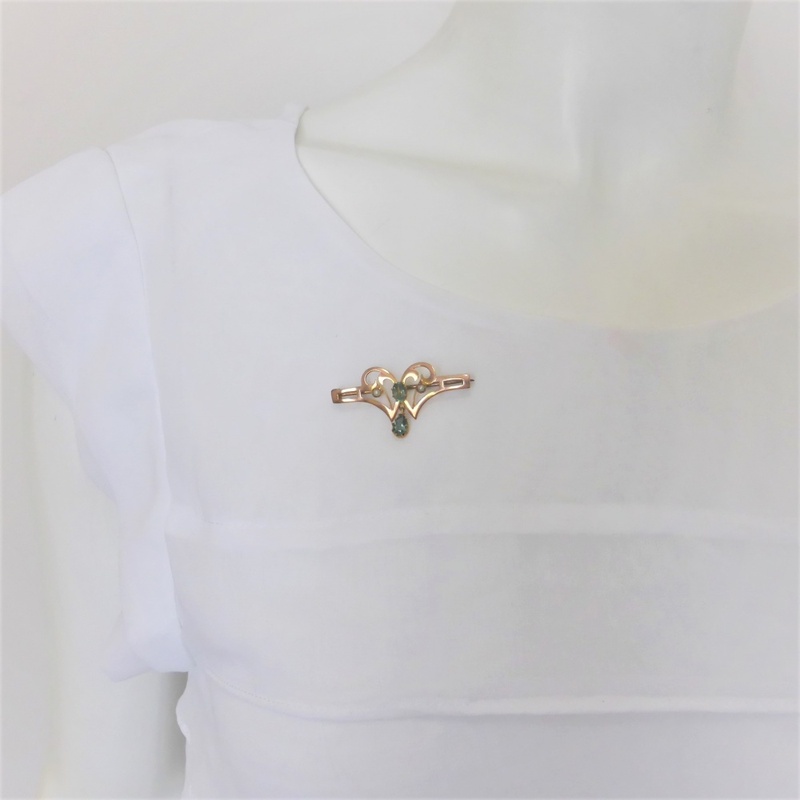 A graceful touch on the collar! Gemstone: Two natural green beryl - one faceted oval-cut measuring approx 5.50mm x 4.00mm and one faceted tear-cut measuring approx 5.60mm x 4.00mm, green colour and lower pear cut displaying a subtle blue hint, 0.75carats total estimated weight. Natural internal inclusions indicative of beryl. Two seed pearls- likely natural (have not been x-rayed to confirm), measuring approx. 2.20mm, natural blemishes and slight off-round shape. 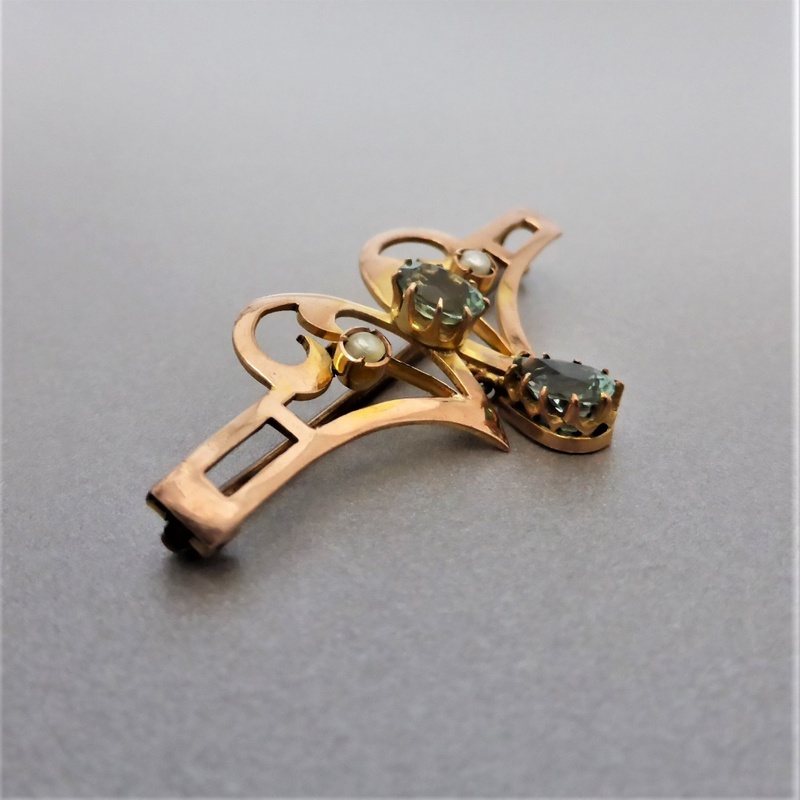 Gemstones tested by a FGAA gemmologist with professional gemmological equipment. Hallmark: '9' '375' 'Anchor' (Birmingham) "i" (year 1908) and makers marks possibly ending with 'A&S' - partially obstructed with c-clasp. 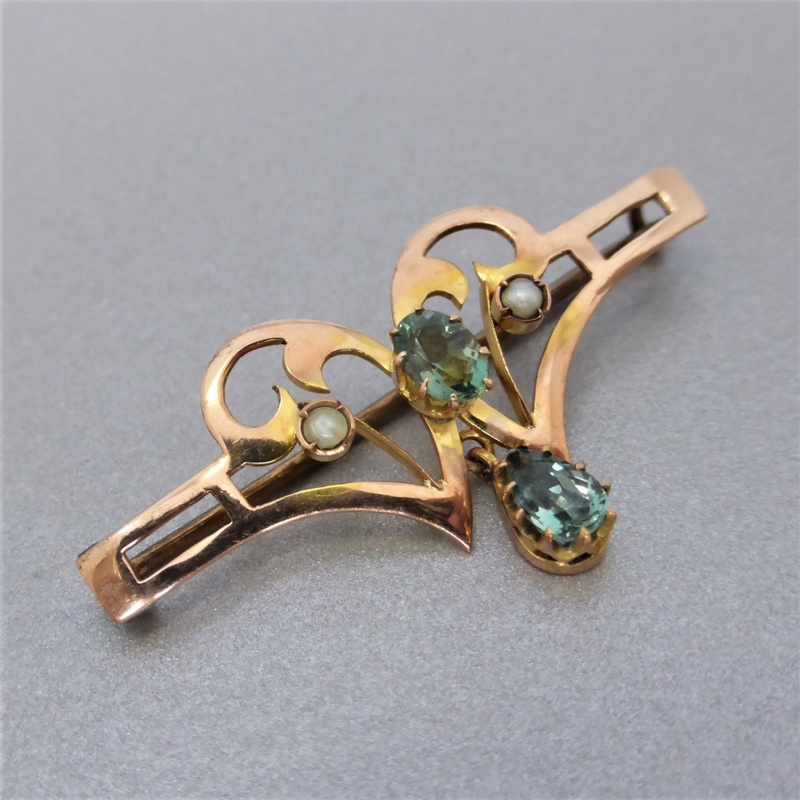 Condition: The brooch remains in superb antique condition. Besides normal surface wear, there is no apparent damage to the gemstones or settings. The yellow wash (aka gilding!) which was originally on the surface has faded leaving behind a soft rose hue adding further antiquity character. 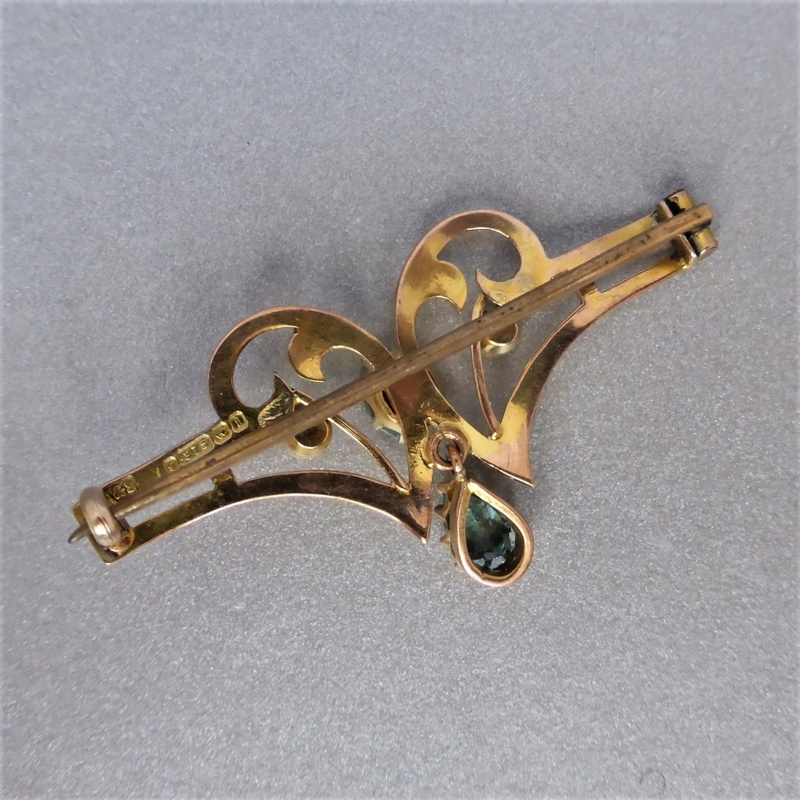 A wonderful antique brooch!